Professor R. Mansell Prothero died peacefully on 24 December 2013, aged 89, at his lovely home, Vine House, in Neston, Merseyside. Mansell was a proud and devoted family man, much missed by his six children and their partners, 11 grandchildren and 2 great-grandchildren. He was predeceased in 2003 by Peggy, his wife of over 50 years. Ralph Mansell Prothero was born and brought up in Merthyr Tydfil, and in 1942 followed the well-trodden path of many grammar school boys from the valleys to read Geography at Aberystwyth University College, taking his degree in 1945, a teaching diploma in 1946 and his MA on Cultural contacts between the Bristol Channel lowlands in prehistoric times in 1947. He was appointed Assistant in the Department of Geography at Edinburgh, working especially with Ronald Millar, who in 1950 persuaded Mansell to apply for a lectureship in the newly founded Department of Geography at Ibadan University College, where he was till 1954, with a Research Fellowship in the West African Institute for Social and Economic Research for a further year. He was appointed Leverhulme Research Fellow at Liverpool University in 1955 and successively from 1956 Lecturer, Senior Lecturer, Reader and holder of a personal chair as Professor of Geography till his retirement in 1989. Mansell’s research on population mobility and land-use in Nigeria laid the foundations for his distinguished career as an Africanist population and medical geographer. The excitement of being in that young Geography Department at Ibadan in the early 1950s, with equally pioneering colleagues such as Keith Buchanan and John Pugh, led in particular to his studies of seasonal labour migration from Sokoto, NW Nigeria, and of Land use in Soba (in Economic Geography, 1957) that were early major conceptual markers in African geography. This work was brought together in Mansell’s Liverpool PhD submission by publications, Land use, population distribution and population mobility in Tropical Africa. Studies in man/land relationships (1962). These were complemented by a concern for the implications of population movements for the transmission of disease in Africa, recognised in his consultancy secondment to the World Health Organization in 1960, and in many subsequent consultancy and lecture invitations to medical audiences. His Migrants and malaria (1965) has become an international classic for medical geographers and medical scientists generally. Mansell’s later work was characterised by a series of influential books, often as editor or co-editor, notably his A geography of Africa: Regional essays (1965), Essays on African population (1961 with Michael Barbour), Geographers and the Tropics (1964 with Robert Steel), Circulation in Third World countries (1985, reprinted in 2012, with Murray Chapman), two books arising from IGU Population Geography symposia, Geography and a crowding world (1970 with Leszek Kosinski and Wilbur Zelinsky) and People on the move (1975 with Leszek Kosinski), and together with seven other Liverpool geography colleagues he wrote A Geography of the Third World (1983, 1996). In Liverpool he supervised over 20 PhD students, many from overseas, and he was especially touched by the appreciation that these students presented to him just before he died. Mansell was Head of Geography in Liverpool, 1980-85, a Member of Council of the Institute of British Geographers, 1966-69, and in 1969 was awarded the Gill Memorial Award of the Royal Geographical Society ‘for population studies’. However, the reach of his scholarship was truly international. He was a member of the Commission of the International Geographical Union on a World Population Map, 1958-64, and Chair of its Commission on Population Geography, 1964- 72. He held visiting posts in Israel (Hebrew University), Australia (ANU), Mexico (Universidad Nacional) and USA (Minnesota and Hawai’i), and in several Indian universities sponsored by the British Council. He gave visiting lectures on five continents, and was an external examiner in several overseas universities, as well as in UK. He held research grants from various international sources, including the World Bank and the National Science Foundation of USA, as well as ESRC and Nuffield Trust in UK, and was a familiar and popular contributor at international congresses. 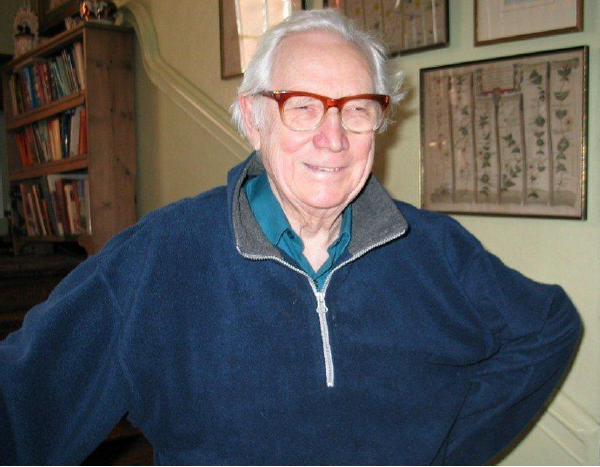 Those of us who had the pleasure of working with Mansell greatly appreciated the generosity of his personality, enjoyed his easy facility as a raconteur, and benefitted from the insights of his own work and the direct encouragement he gave to students, colleagues and his wide range of international collaborators. The range and depth of his achievements attest to the urbane commitment he brought to his scholarship.